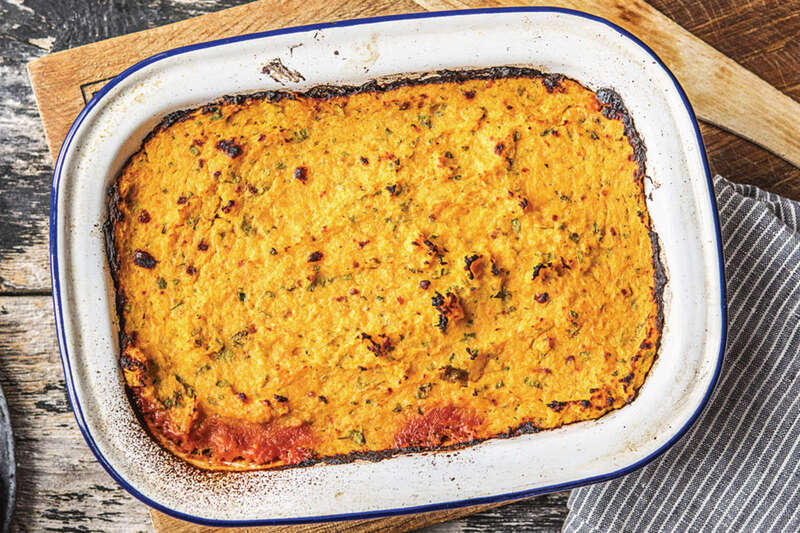 From the chilli con carne beef to the cheese and herby mash topping, there’s nothing in this dish that isn’t flavoursome. We think you’ll be all about it. Preheat the grill to high. Bring a medium saucepan of salted water to the boil. Peel the sweet potato and chop into 2 cm chunks. Finely chop the brown onion. 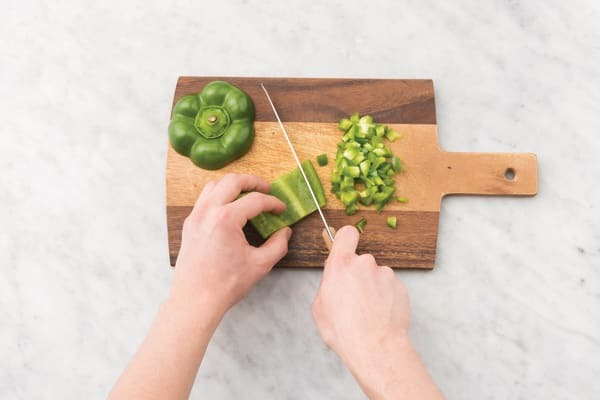 Finely chop the green capsicum. Dice the carrot (unpeeled) into 1 cm cubes. Peel and crush the garlic. Grate the Cheddar cheese. Finely chop the coriander leaves. Add the sweet potato to the saucepan of boiling water and cook for 10-15 minutes, or until easily pierced with a knife. 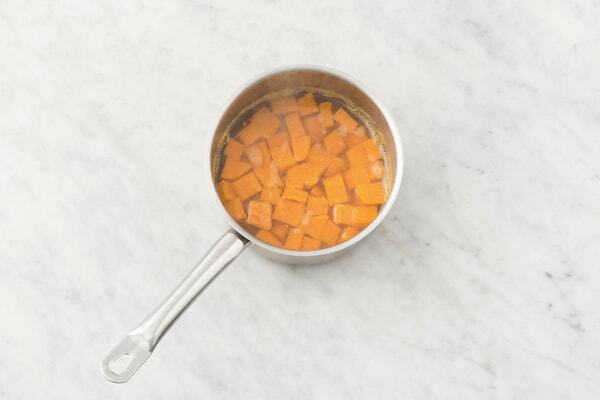 Drain and return the sweet potato to the saucepan. Add the butter and the milk and mash using a potato masher or fork until smooth. Season to taste with a pinch of salt and pepper and set aside. Cover with a lid to keep warm. Heat a drizzle of olive oil in a medium frying pan over a medium-high heat. 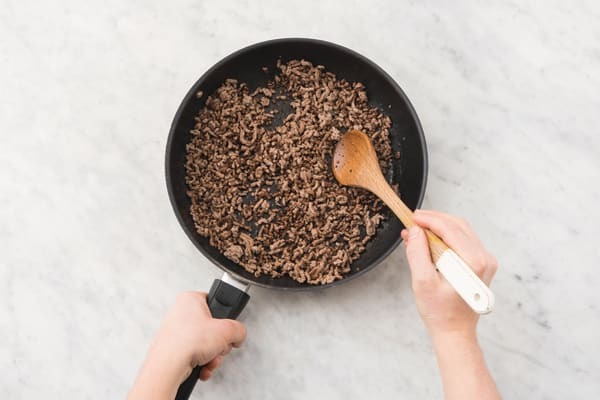 Add the beef mince and cook, breaking up with a wooden spoon, for 3-4 minutes, or until just browned. 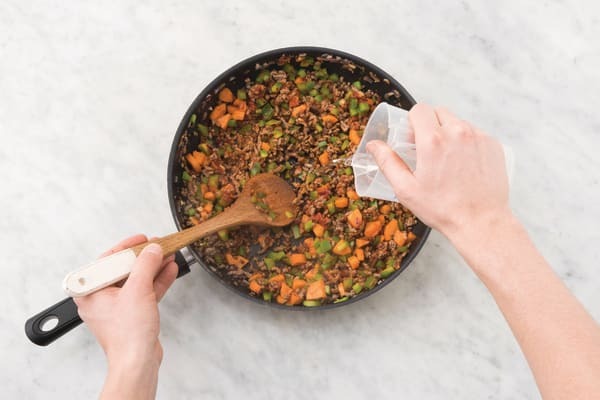 Add the brown onion, the green capsicum and the carrot to the pan with the beef mince and cook for 5 minutes, or until softened. Add the garlic, the mild Mexican spice blend and the salt (use suggested amount) and stir through for 1 minute, or until fragrant. Add the tomato paste, the hot water (check the ingredients list for the amount) and a pinch of pepper and stir to combine. Transfer the mixture to a small baking dish. 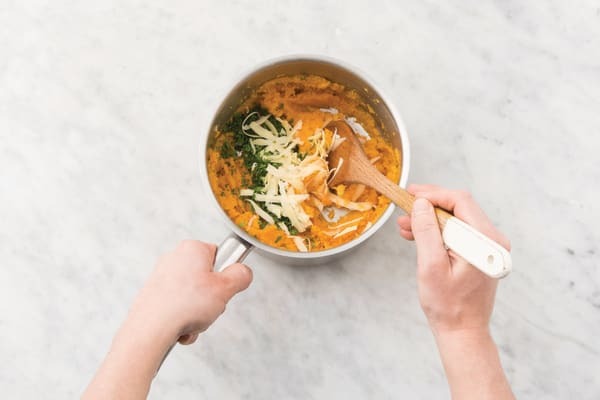 Stir the Cheddar cheese and the coriander through the sweet potato mash and fluff up lightly with a fork. 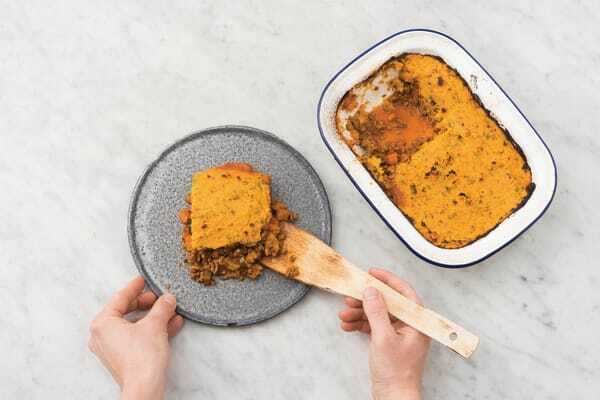 Top the beef mince mixture with the sweet potato mash and place under the grill for 5-10 minutes, or until the mash is lightly crispy on top. While the pie is grilling, place the balsamic vinegar and the honey in a large bowl. Add a drizzle of olive oil and a pinch of salt and pepper and mix well. Place the mixed salad leaves into the bowl and toss to coat in the dressing.